Our family had a taste of Robinsons Supermarket's Celebrate Wellness campaign over the weekend held at the Open Park of Eastwood Mall. 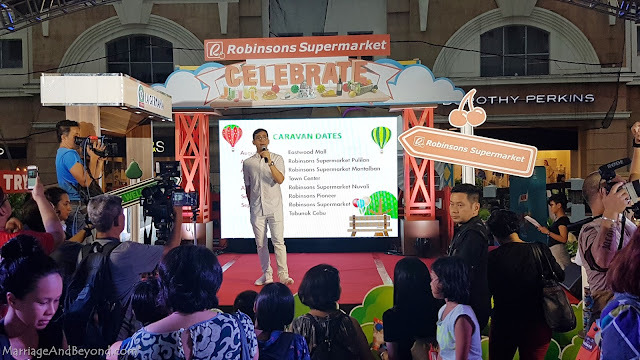 Revelry for good health and overall wellness continues at Robinsons Supermarket (RSC) as it launches “Celebrate,” the fourth leg of its year-long Route to Wellness promo. The Route to Wellness is a series of promos which started in March with Explore, Learn in May, and the Wellness Festival in July. The Route to Wellness promo will culminate with Give in December where more wellness rewards will be given away to customers. Customers are encouraged to collect at least 5 stamps at every promo period to get a PHP100 Robinsons gift certificate. On August 6, 2016, Robinsons Supermarket organized a Wellness Theme Park at Eastwood Mall to launch the Celebrate promo. Families came together and spent a fun and learning-filled day. Highlights include a bubble station, popcorn maker and a roller-coaster themed photobooth. The journey to wellness doesn’t end there because “Celebrate” will carry on in all Robinsons Supermarket stores the entire months of August and September. 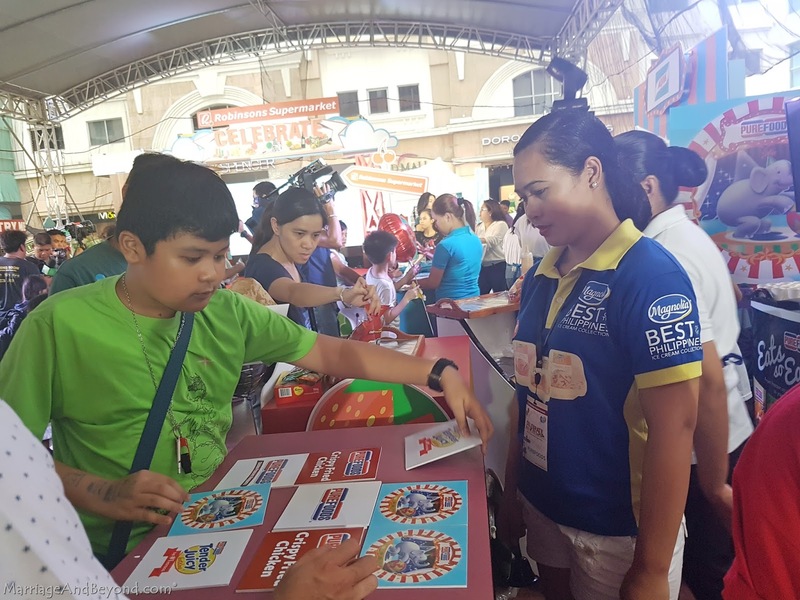 Throughout the promo period, a free portable picnic mat will be given away for a minimum of P3,000 single receipt purchase, inclusive of P500 worth of participating products from Unilever, P&G, Colgate-Palmolive, J&J, Nestle, Coca-Cola, Selecta, Belo, CDO, and Kojie-San, to name a few. The picnic mats come in 3 colors: blue, green and purple. So visit and shop at Robinsons Supermarket today and discover the rewarding journey of wellness. Enjoy @RobSupermarket's promos. Play games and have fun with #family on the 2nd day of their #CelebrateWellness at Eastwood Mall's open park. The same festivities and activities will be available at other #RobinsonsSupermarket branches nationwide in the following weeks until end of September.